Randeep Singh Surjewala targeted the BJP over a diary which allegedly contains the details of a transaction between the top BJP leadership and Yeddyurappa. The Congress on Friday accused the top leadership of the Bharatiya Janata Party (BJP) of accepting bribes to the tune of over Rs 1800 crore from Karnataka BJP chief BS Yeddyurappa when he was the Chief Minister of the state. At a press conference in New Delhi, Congress spokesperson Randeep Singh Surjewala alleged, on the basis of a report published by The Caravan, that the saffron party’s leadership were given payouts by Yeddyurappa. “We released a video of late Ananth Kumar (former Union Minister). The video made it clear that over Rs 1000 crore bribe was given to BJP leadership,” Surjewala said at the press conference. Reading from a transcript of the video, Surjewala targeted the BJP over a diary which allegedly contains the details of a transaction between the top BJP leadership and Yeddyurappa when the latter was the CM of Karnataka. Yeddyurappa was the CM of Karnataka for two days in May 2018 before the Congress and the Janata Dal (Secular) alliance were able to stake claim to government on the basis of numbers in the assembly. 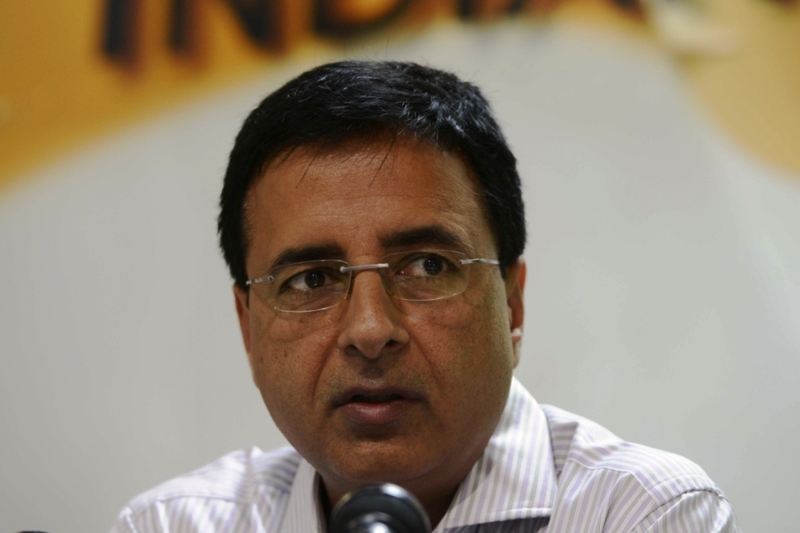 Surjewala particularly pointed to the last part of the conversation allegedly between Yeddyurappa and Ananth Kumar. Quoting from the transcript Surjewala said that Ananth Kumar told Yeddyurappa that if he “light(s) a small spark it will spread like wildfire”. Surjewala said that the diary reveals that close to Rs 2690 crore was sought and 1800 crore was given to BJP leadership. “Yedyurappa was the CM during the period. There are his signatures on each page. This was given to BJP’s central team,” Surjewala alleged, adding that neither Ananth Kumar, who passed away on 12 November 2018, nor Yeddyurappa rebutted the allegations. The diary is believed to be written in Kannada by Yeddyurappa in his own hand. He added that of the total amount, Rs 1000 crore was given to the central leadership which has “big names such as PM Modi, Nitin Gadkari and others”. The Congress leader also said that Rs 250 crores was kept for judges. “The diary has been with the income tax dept since Aug 2017 according to the report by The Caravan,” he said, adding that the questions on the claims on its authenticity have not been refuted by the IT Department, CBDT, Arun Jaitley, Nitin Gadkari and other BJP leaders. “Is it true or false? The diary with BS Yeddyurappa’s sign on it was with the Income Tax Department since 2017. If that is the case why did Modi ji and BJP did not get it investigated? According to the report published by The Caravan, Yeddyurappa’s diary reveals that he paid Rs 150 crore each to Gadkari and Jaitley, Rs 100 crore to Home Minister Rajnath Singh, Rs 50 crore each to LK Advani and Murli Manohar Joshi and spent Rs 10 crore on the marriage of Gadkari’s son. This payout was beside the Rs 1000 crore given to the BJP central committee. The BJP will hold a press conference at 4 pm to respond to the allegations.